From Melford Donaldson of Kettering, Ohio on 1/31/2019 . 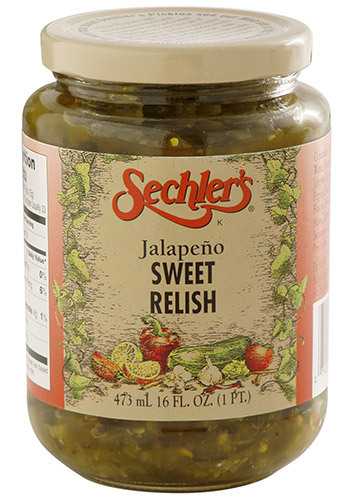 This relish is the best I have ever tried. Keep up the good work. From Tekoy Williamson of Detroit, Michigan on 10/25/2018 . I really like the taste of this relish. A bit of spice just like I like it. Will continue to buy this product until you no longer supply it. From Carla of Castle Rock, Colorado on 8/24/2018 . This relish has just a little bite to it, just enough to give it a really great taste. Love it in the tuna salad! From David Bonecutter of Bradenton, Florida on 7/20/2018 . For the past several years, I've had to wait for my cousin to bring me one jar, once a year, from Indiana. She's a snowbird! The jar would not last me very long. I had checked online before to see if I could order some. When I discovered your site this past year, I was ecstatic! I've ordered another 4 for a wedding gift, to introduce more family to this product! From Anonymous of Bolivar, Missouri on 4/27/2018 . This is the best relish ever for potato and egg salad and deviled eggs! And great on hot dogs!! Can no longer get it at local stores, so happy to be able to order direct!